Family of Steel – Announcement! 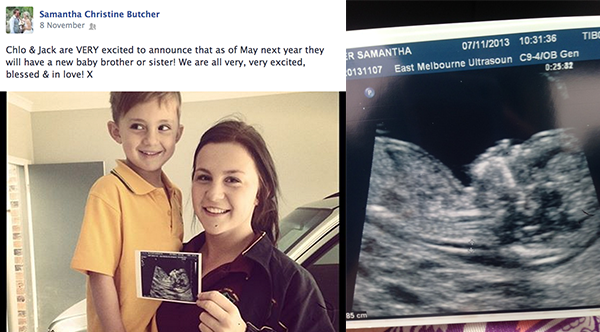 Exciting news from the McKerns this week, Samantha Butcher (McKern) is expecting!!! “I am beyond excited! No nerves,just pure excitement! We all can’t wait. The excited mum-to-be, happily answered a few questions for this blog, so we can let the world know how excited we all are! Congrats! How did you find out you were pregnant? We took a pregnancy test on a Friday morning after only a few months of trying and we were very, very excited to see the 2 lines! Do you know when you are due? 20th May! How did you announce the news to your friends and family? We told close family and friends personally at about 5 weeks then at 13 weeks announced it via SMS and Facebook. How many children do you want to have? We already have 2 but we’d like another 3 or 4! Do you want to know if it’s a boy or a girl? No way! After all that hard work it’ll be a nice little surprise at the end! What are you favourite baby names? Not saying! You’ll have to stay tuned. What has been the best thing so far about being pregnant? All the food that I’ve been eating!! Food takes away the sick feeling so no one can tell me to stop! Oh and going to bed early without feeling like a grandma. AND having my beautiful husband look after me. He does all the cooking, cleaning, washing (and pretty much everything there is to do around the house!) because I’m always so tired!